For five centuries,Vampire-governor Marcus Wasilewski rules Algharakh with a marble fist, as he classifies the vamps as the superior race, which severely oppresses the wolf race. Racism is eminent and the wolves demand justice, as Senator Frank Morton, leader of the political party W.O.L.F, brings Algharakh on the precipice of a political shift. In the midst of all the chaos, a forbidden love blooms between Sam, a werewolf, and Erin, a vampire. The two lovers, even threatened by attacks from their opposing races, do the unthinkable, and the illegal, not knowing the significant impact their decisions will have on the people around them, and on themselves. Will their unique love withstand the cruel prejudice and put an end to the race feud that pumps through the residents of Algharakh’s veins, or will they be ripped apart by the very thing that brought them together? "Even in the midst of tragedy, a silver lining managed to crawl out behind the darkness…"
Erin looked around her for the millionth time with a frown and checked her watch again. She had been sitting in The Forte Lounge for the last hour, waiting for Sam, but he never showed. She checked her phone for any messages, but there were none. She honestly thought that he would have called by now. He didn’t seem like the kind of guy that would not show up and leave her hanging. On the other hand, she thought Lukas looked like the type of guy that would never cheat on her, but that happened sooner than she could say erythrocytes. Erin frowned and banished all thoughts of Lukas from her mind and dialed Sam’s number again. It went straight to voicemail. “Hey, where are you?” Alex’s voice came over the speaker. “I’m having a drink,” Erin answered simply, trying her best not to sound disappointed. Erin hung up on her friend and dropped her phone back into her bag. She stared at her hands for a few seconds, finished her drink and left. She was angry and disappointed, maybe more at herself than at Sam. Maybe he found out about her family, and decided not to call her, or see ever again. Not that she blamed him. He quite clearly expressed his feelings towards her kind the other night. As she was not type of mood to talk to anyone, being close to tears and all, she climbed into her car and sped off, heading home. As she drove through a red traffic light, she turned her head and saw Sam, or someone that closely resembled him. She narrowed her eyes, activating her night vision and glanced over at him again. It definitely was him! She stopped at the side of the road, climbed out and locked her car. “Sam?” she yelled as she crossed the street and ran towards him. “Hey!” Erin called out to him again and grabbed hold of his shoulder. He seemed surprised by her sudden pull on his shoulder and looked at her with wide, angry eyes. “Where the hell were you? I waited for you for over two hours,” Erin asked, her voice shaking slightly. Sam frowned and stared at her wordlessly, clenching his jaw. “Are you going to answer me or not?” Erin frowned at him, but he still did not say anything. He just looked at her. There was a wild flicker in his eyes, but that didn’t stop her from growling at him. “What the hell is with you? Say something!” she growled angrily at him, and herself, and ran her fingers through her hair. Sam turned away again, his jaw clenched tightly and she threw her hands in the air. “I don’t have time for this, Sam. When you feel the need to talk to me, you can call me.” She spun herself around and marched off in the opposite direction. Sam took a deep breath and watched as she walked away. Something inside told him to go after her, and he sprinted towards her. She was standing by the traffic light, waiting for the pedestrian crossing light to flash. Before Erin could finish, Sam grabbed her by the arm and semi-dragged her to the other side of the sidewalk. He pushed her against the wall of the building and stared at her. “You lied to me,” Sam growled. “What are you talking about?” Erin struggled against his grip. She had to give him credit; he was stronger than she thought. She cringed slightly and he dropped his arms to his sides. “He told you what?” Erin asked, her eyes flashing. “So, you’re a vamp then?” Sam backed off a bit and looked at her. “No, he’s my brother,” Erin shook her head in disgust. “You thought I was a wolf.” Erin uncomfortably shifted her weight and looked up at Sam with a frown. Sam looked at her, long and hard, and Erin knew that he was deliberating with himself in his mind. When she saw his nostrils flare, she shook her head at him. “I can’t argue with that, but you could have told me.” He crossed his arms across his chest. “You’re ashamed of your kind?” he asked her with a frown. She winced at his snippy remark and raised her eyebrows in slight disgust. “And how is that?” Erin frowned. Sam looked at her, but could not pinpoint the exact emotion that he was feeling. Shock? Betrayal? Disappointment? “I don’t know, okay. First I thought I was shocked and disappointment, then I was angry, but now I actually feel relieved, now that I know what you are.” Sam looked at her, and she could see that his eyes were settling down. “Yeah, you did.” Erin dropped her gaze and pouted slightly. “Are you for real right now?” Erin asked in disbelief. “Actually yes,” Sam nodded, looking pleased with himself. “And you don’t care what everyone else thinks? Not even your family?” Erin asked. “No. I’m the one taking you out, not everyone else. Besides, no-one is going to tell me who to take out, right?” Sam looked over at her. “I suppose,” Erin shrugged nonchalantly. “Of course not. It’s just that my apartment is in Coldora,” Erin cringed. “Okay, I’ll see you tomorrow.” Erin gave him a nod and watched him walk away with a smile. A strange fluttery feeling started in her stomach and as she caught sight of her reflection in the glass window next to her, she noticed a smile on her lips. 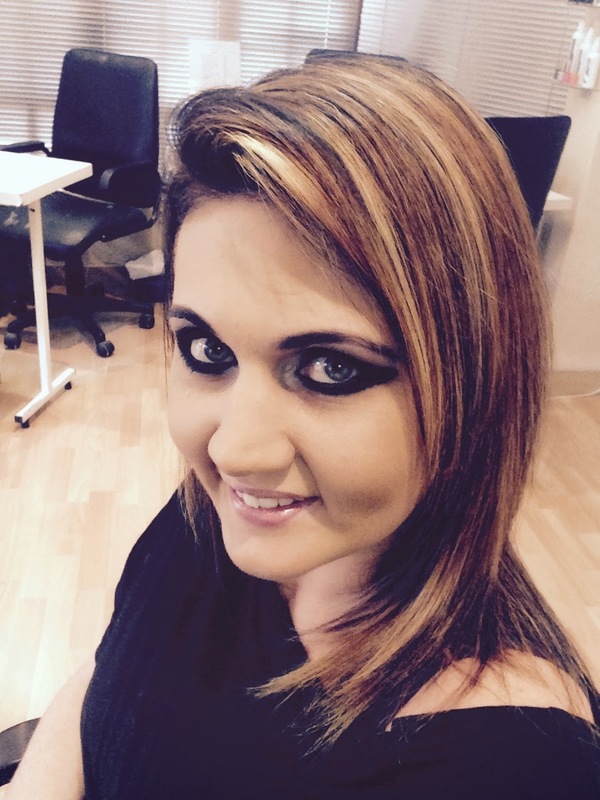 Sonja L Myburgh is a 29 year old Sagittarian, and lives in Port Elizabeth, South Africa with her husband, Mark. She is the author of romance novels On The Line, A Bullet For You, If You Only Knew duology, and historical fantasy trilogy Return to Salem. 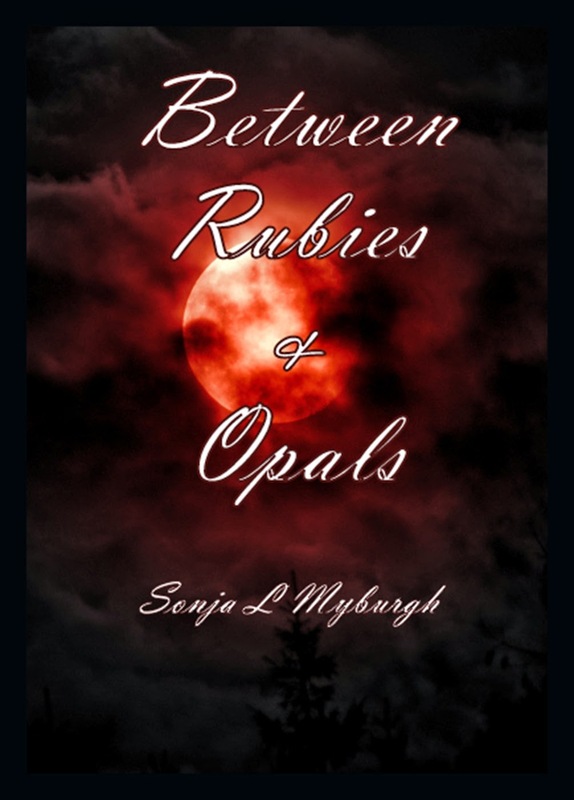 Her new fantasy romance, Between Rubies & Opals show a new side of vampires and werewolves. Possibly the worst cliché ever, but she started writing since she could remember. From a very young age, she enjoyed writing essays, short stories, and enjoyed reading. A lot. She enjoys reading and researching a variety of different things and loves controversial topics. Anything unusual and strange adds fuel to her proverbial fire of weirdness. An extrovert at heart, she loves being among people – mostly to study them for an upcoming project. With an overactive imagination, and all all round overactive brain, her trusty notebook never leaves her side. Thanks, as always, for reading! Please feel free to leave questions/comments below. If you like fantasy, check out these authors: Robert W. Brady Jr., Richie Earl, Vanessa Finaughty, G. Russell Gaynor, Dani Hoots, Dana Journey, Katy Krump, Bryan O'Neill, T.C. Southwell, and David Temrick.